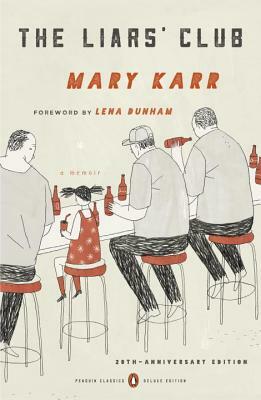 Mary Karr kick-started a memoir revolution with The Liars’ Club, which was a New York Times bestseller for over a year, a best book of the year for The New York Times Book Review, The New Yorker, People, and Time, a finalist for the National Book Critics Circle Award, and the winner of prizes from PEN and the Texas Institute of Letters. Karr has won the Whiting Award, Radcliffe’s Bunting Fellowship, and Pushcart Prizes for both verse and essays, and she has been a Guggenheim Fellow in poetry. Her other bestselling books include The Art of Memoir, the memoirs Lit and Cherry, and the poetry collections Sinners Welcome, Viper Rum, The Devil’s Tour, and Abacus. The Peck Professor of Literature at Syracuse University, Karr lives in New York City. Lena Dunham (foreword) is the creator of the critically acclaimed HBO series Girls and the author of the New York Times bestselling essay collection Not That Kind of Girl. A frequent contributor to The New Yorker, she lives in Brooklyn and Los Angeles. Brian Rea (cover illustrator) is the longtime illustrator for the New York Times’ “Modern Love” column and a former art director for the New York Times op-ed page. His design clients include Kate Spade, Honda, Billabong, Herman Miller, and MTV. Rea lives in Los Angeles.